The Onion, ‘America’s finest news source’, provides a satirical perspective on local, national, and international news. It was founded in 1988 as a weekly print publication and in 1996 began appearing online. Why was it named The Onion? There are two explanations, according to Wikipedia. One version has it that the co-founders, Tim Keck and Chris Johnson, were at the time so poor that their diet consisted of raw onions on white bread. The other version claims the name is a mocking twist on a campus newsletter called The Union. Perhaps both accounts are true. But what interests me more than the name’s origin is the aptness of the name itself. Calling a satirical newspaper The Onion is perfect. The word is short and snappy. It can be sketched easily for the masthead logo. Furthermore, an onion means precisely what it ought to mean for this particular purpose. Onions have a strong and pervasive smell – just as the satire of The Onion is pungent, recognizable, and lingering. Onions make you weep, but the tears are neither of joy nor sorrow – just as The Onion often leaves you unsure whether you’re laughing or crying. Onions have multiple layers, and The Onion’s satire works on many levels at once, – mocking the self-importance of news outlets, the credulity of readers, and whatever topic is being skewered in any given article. I submit that The Onion would not have achieved its great success if it had been called, say, The Rose. And I am moved to make this judgement by the example of C.S. Lewis who once remarked that the medieval love poem The Romance of the Rose would simply not have worked if it had been called The Romance of the Onion. The Romance of the Rose is one of the greatest love poems of the Middle Ages. It is an allegorical dream vision, written in French, and published in the thirteenth century, – the first part authored by Guillaume de Lorris and the second part by Jean de Meun. Lewis knew that onions carry with them a number of peculiar qualities and associations, owing to their astringent odour, their flimsy, film-like, Russian-doll rings, and the ambiguous tears they provoke. Roses, on the other hand, are fragrant, soft, delicate. A lover is obviously going to compare his beloved to something tender, beautiful and gently unfolding, rather than to something acrid, plain, hard, and self-enclosed. But though this is an obvious point, it is sometimes necessary to restate the obvious. As Dr Johnson declared: “Men more frequently require to be reminded than informed.” The world is charged with meanings that are given by the nature of the things themselves. Onions and roses have essential or substantive qualities that inhere in the very objects that they are. We can’t make onions and roses mean whatever we like. Lewis followed Johnson in this regard: people need reminding. Roses have certain meanings that are simply given, – meanings that are not given by onions. The scent, the fragility, the mystery of a rose as it slowly discloses its heart, – these are its data. These inescapable, ineradicable real-life qualities of a rose must be recognized and respected. They should not be treated as if they were interchangeable with the qualities of a certain strongly-flavoured vegetable of the genus Allium. This is common sense. That roses mean something different from onions is a fact handed down to us from time immemorial; it is part of the tradition of human perception which could not have been otherwise. And authors should not be ashamed of such a “stock response” (so Lewis argues in A Preface to Paradise Lost). On the contrary, authors should acknowledge the immutable identity of onions and roses and try to discern their intrinsic meanings as fully as possible. Just as scientists must not manipulate their data to come to some pre-arranged conclusion, so poets must respect the inherent qualities of things if they are to write wisely about reality and use symbols intelligently. And, of course, this principle is not limited to onions and roses. In The Allegory of Love, Lewis invites his readers to try replacing the shepherds and swains of the pastoral tradition with policemen and tram-conductors. It cannot be done – or not without loss. There are certain responses to things which are required by reason. A rational interaction with the world rules out wilful or arbitrary or autonomous responses, but necessitates patient and attentive and inquisitive responses. In this way, meanings are not imposed upon reality but rather perceived within reality. This is the way of love, as opposed to the way of violence and objectification. It is the “law of love” that the poet Ruth Pitter said writers should observe, in a lecture she delivered at the Royal Institution of Great Britain, entitled ‘A Return to Poetic Law’. “Law” sometimes implies unwelcome constraint, but the law of love is constrained by nothing save the need not to hate. As long as you don’t hate or scorn or belittle the thing you’re exploring, you can be as bold as you like in teasing out its suggestions, recognising its limits, exposing its (apparent) contradictions, following up its implications, delving into its origins, and so forth. Take roses again. One need not only focus on the beauty and fragrance of the flower. One might also wish to observe, like George Herbert in his poem ‘Virtue’, that however lovely the bloom, the rose’s root is “ever in its grave and thou must die”. Or one might point out, like Shakespeare (in Sonnet 35), that “roses have thorns and silver fountains mud”. Roses are mortal, their thorns can draw blood. Though the lively and lovely aspects of roses tend to be most focussed upon, they are not the only aspects. Poets don’t always have to make use of the most immediate meanings. And even where poets focus on the beautiful bloom, that meaning is limited in its range of applications. For instance, Robert Burns compares his love to “a red, red rose / That’s newly sprung in June”, – a powerful image of female beauty. But what if his beloved’s beauty was of a different kind? William Wordsworth uses not the rose but the violet for the beauty he wishes to communicate. Wordsworth’s beautiful woman is compared to “a violet by a mossy stone / Half hidden from the eye”. As Lewis writes in Studies in Words, these poets force us to “imagine two (very different) women. I see the rose-like, overpowering, midsummer sweetness of the one; the reticent, elusive freshness, the beauty easily overlooked in the other”. The nature of the woman in each case is made evident through the poet’s ability to discern the distinctive qualities of the flower under consideration. Things only signify something beyond themselves by first being themselves, and only the person who properly sees the thing sees its meaning. To see the meaning of a thing is to make a metaphor. A metaphor is, literally, a “carrying over”. The poet sees in a flower a meaning that can be carried over to explicate or illustrate or ornament something about his beloved. Readers who understand the metaphor find their minds rewarded or enlarged; their responses to the world become more integrated, textured, pleasing. It is akin to getting the point of a joke. I think Dante’s poetry, on the whole, the greatest of all the poetry I have read: yet when it is at its highest pitch of excellence, I hardly feel that Dante has very much to do. There is a curious feeling that the great poem is writing itself, or at most, that the tiny figure of the poet is merely giving the gentlest guiding touch, here and there, to energies which, for the most part, spontaneously group themselves and perform the delicate evolutions which make up the Comedy. The greatest part of this greatest poem was its third canticle, the Paradiso. This section Lewis regarded as “the highest point that poetry has ever reached” (see his essay ‘Shelley, Dryden, and Mr Eliot’). As Dante’s pilgrim approaches paradise, he is granted a vision of heaven as a Mystic Rose – the “celestial rose” (‘Dante’s Similes’), the “eternal Rose” (‘Imagery in the Last Eleven Cantos of Dante’s Comedy’). Gustave Doré’s famous illustration to the Paradiso (see below) brings out the rosiness of that vision most beautifully. With this metaphor that he puts in the mouth of Mr Tumnus, Lewis pulls off one of his most daring and outrageously funny tricks. Heaven itself, which Dante had compared to a rose, Lewis compares to an onion, but an onion bigger on the inside than on the outside. How, we ask, can the Empyrean be the centre when it is not only on, but outside, the circumference of the whole universe? Because, as Dante was to say more clearly than anyone else, the spatial order is the opposite of the spiritual, and the material cosmos mirrors, hence reverses, the reality, so that what is truly the rim seems to us the hub. Onions have circumferences, rims, hubs; they are globes, whereas roses are buds and blooms, – their petals don’t hold the circle. To that extent, onions are more like cosmological reality as the medievals understood it, and roses turn out to be metaphorically deficient. The repeated cry at the end of The Last Battle – “Further up and further in!” – is a paradoxical statement, reflecting both the spatial order and the spiritual order at once. Lewis’s pilgrims go “up” as if heaven were outside earth, but they simultaneously go “in” as if earth were outside heaven. Lewis, the great lover of the Comedy, sees where Dante’s imagery falls short. He ends Narnia not with a slavish repetition of the Mystic Rose, but with his own freshly-minted vision of a Mystic Onion. WHEATON, ALLAH, AND THE TRINITY: DO MUSLIMS REALLY WORSHIP THE SAME GOD AS C. S. LEWIS? One of my favourite books is Frederick Buechner’s Telling the Truth: The Gospel as Tragedy, Comedy, and Fairy Tale. The chapter on Comedy is especially good, I think. And especially needed. 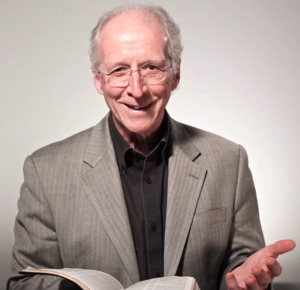 Both church-life and the world of theological study are far too po-faced. As my contribution to injecting a little humour into this situation, I thought I would do a quick survey of C.S. Lewis’s shining wit. Lewis once wrote: ‘The English take their “sense of humour” so seriously that a deficiency in this sense is almost the only deficiency at which they feel shame.’ It must be remembered, of course, that C.S. Lewis was Irish. If he’d had the great good fortune to be born English (as I, I humbly admit, did) he would have realised how grievous a thing it is to be humour-impaired. So don’t worry if you don’t find this blog-post funny. Humour varies so much from culture to culture . . . So wrote Winston Churchill, explaining the elaborate courtesy with which, on behalf of the British Government, he declared war on Japan in 1941. Intellectual combat, like actual warfare, benefits from politeness. And in this respect, C.S. Lewis provides us with a notable example. In his ripe, late work, An Experiment in Criticism (1961), Lewis guns down one of his Cambridge colleagues. But you will not learn the name of Lewis’s target from the pages of his book; he never mentions it. Why make your opponent’s fate worse by brandishing his identity before the public? Play the ball, not the man. In An Experiment in Criticism Lewis sets out to discover what makes a book good. (We may usefully apply his findings to films and plays as well as books.) He concludes that what makes a book good is whether it “permits, invites, or even compels good reading”. Very well. And what is good reading? Good reading is reading which does not use the book, but receives it. In Norman Maclean’s fly fishing novella, A River Runs Through It, Maclean suggests (echoing some Native American traditions) that fishing isn’t merely an exercise in raw power, but a graceful recognition that you and the fish you seek to catch are part of one wondrous whole. Not only must you have the right combination of skill and luck to catch a fish, but the fish itself must freely rise to the bait. In effect, the fish makes you into a fisherman. Such a symbiotic relationship is a delicate balance, and therefore a difficult one for us to strike. Maclean writes, ‘It is natural for man to try to attain power without recovering grace.’ But, he suggests, in fishing as in life, the two can—and perhaps should—go together. This is a daring thought in a modern context because it does not assume (as we all too often assume) that power is inherently evil—in fact, it implies that power rightly understood can be a good thing; and, even more challengingly, that power rightly practised can be a good thing. Read more . . . In a previous post, I wrote about using the essays of C.S. Lewis to help college students learn to write well and think well at the same time. While writing and thinking seem to go hand in hand, they frequently do not. But why should that surprise us? Humans are perfectly capable of speaking without thinking. In fact, considering the human capacity for communication without any real reflection, it should surprise no one that the hardest part of teaching college students to write is getting them to shed their habitual mental blinders, look about themselves, and think a little. C.S. Lewis is in a class of his own when it comes to reasoning by analogy, which makes his writing extremely attractive to a professor who is desperate to get students to think. In the final paragraphs of “Religion: Reality or Substitute,” Lewis turns his attention the relationship of faith, reason, and doubt. Lewis recognizes that doubt is not the enemy of faith but a part of human experience. He points out that humans are subject to fears, passions, and moods that threaten to overwhelm one’s faith. Clearly, Lewis is not a fideist, someone who sees an adversarial relationship between faith and reason. But almost every college student has been trained by our culture to see just such a conflict between faith and reason, so they are a bit bewildered by Lewis’s claim that “When we exhort people to Faith as a virtue, to the settled intention of continuing to believe certain things, we are not exhorting them to fight against reason.” Even if they agree with Lewis, they are not sure why. When students are forced to imagine their own every-day analogy of a conflict between faith and sight, they are forced to step away from many of their bad writing habits. Instead of sitting down to write an essay and looking for lots smart-sounding but insubstantial nonsense, students are forced to think: when have I been tempted to doubt something I knew to be true? They begin to examine their own experience. They begin to examine their own reason. They begin to think twice about what they always believed about doubt. Students might write about flying on airplanes. Reason tells us that they are less risky than driving in cars. But once you are inside a metal tube, going several hundred miles per hour, several thousand feet in the air, well, not only sight begins to rebel against reason, but the other sensations do as well. Or students might write about a relationship. That girlfriend who you know to be kind, thoughtful, beautiful, and self-giving might seem not to be “the one” after all when you are having a wretched day and she neglects to notice and actually says some pretty heartless things about whiners. When students write an assignment like this, I am not interested in seeing academic-speak. I am interested in organized paragraphs and well-wrought sentences, as always, of course. But more than that, I am interested in guiding them to participate in Lewis’s reasoning, which, this case, is particularly important because he is connecting reason with faith. In many ways, students must be asked to reason because only by doing so will their faith be strengthened. Hopefully when they try to write their own analogy about faith, reason, and doubt, they will begin to understand how human reason, though fallen, is not the adversary of faith. As Lewis notes, faith needs reason and reason needs faith. But faith is a both a virtue and a gift, and our reason must be redeemed. Our culture is not accustomed to seeing faith and reason in such a light; hopefully, after following Lewis’s example of reasoning by analogy students gain not only greater writing skills but greater insight into themselves and their own doubts, not as the assertions of rationality but as the temptation to reject reason. Like every other child raised in a Christian home, my introduction to Lewis came through his Narnia stories, and I still very much enjoy these stories, especially now that my oldest child can enjoy them with me. But as a teacher of college composition and writing classes, I have found his apologetic essays both delightful and instructive. 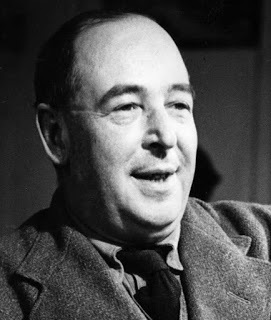 One frequently overlooked dimension of C. S. Lewis’s talent as a writer is the careful attention he pays to form in the crafting of his essays. I have long admired “Religion: Reality or Substitute?” as being a particularly good examples of Lewis’s art. When I began teaching composition as a graduate student in 2003, I turned to this essay as a model of good writing and continue to use it today. Several colleagues, including my wife, have joined me in using this essay as an example of good writing that students willingly engage on many levels. Why do this essay work so well? There are several reasons, but I think Lewis’s deft use of supporting evidence—or his ability to reinforce his thesis through variation and repetition—stands out as particularly skillful. And worth imitating. The essay “Religion: Reality or Substitute?” illustrates Lewis’ skillful use of supporting evidence particularly well. Here, Lewis confronts a frequent objection to faith—that religion is merely a comforting fiction we tell ourselves for protection against the grim reality of life. Lewis confesses that humans are pretty good at inventing such stories and likens the practice to Aesop’s fox, who comforted himself with the imagined sour grapes. In order to refute this persuasive argument rooted in human psychology, Lewis turns to his own experiences. The progression of his examples is a movement from the mundane to the metaphysical. He demonstrates that experience alone is an unreliable teacher of reality by turning to such diverse yet analogous examples as smoking cigarettes, listening to gramophone records, and eating margarine. In his final example, he turns away from his own experience to a well-known scene in John Milton’s Paradise Lost. The movement from the mundane to the metaphysical is also a movement from the more subjective (boys stealing cigars) to the universal (negotiating the movement between self-love and love of another). In the first example, Lewis recalls how two “bad boys” stole cigarettes from their father. (Considering Lewis’s tobacco habit, it’s easy to infer who these two little boys might have been.) Only when the cigarette supply ran low did the boys resort to their father’s cigar stash to avoid detection. Because they preferred cigarettes, they viewed the cigars as merely a substitute for the better smokes. Lewis concludes that “the boys” were quite right so far as their own experience went, but if their own experience led them to conclude that cigars were an inferior place-holder for cigarettes, then their quite limited experience led them astray. All this talk of “substitutes” reminds Lewis of wartime rations, so he recalls his experience of margarine: when he first began to eat it, he did not notice a difference, but as time wears on and there is no butter ever, only margarine, Lewis can hardly think of anything except that margarine is not butter. This, he says, is a different example than the other two. For in the first two examples, his early education and experience taught him to prefer the substitute and even view it as the reality. In the case of butter/margarine, Lewis is first acquainted with the real thing and can only stomach its substitute for so long. Lewis quickly transitions from his own experience to an example drawn from Milton’s Eve in Paradise Lost. Soon after her creation, Eve happens to view herself in a pool of water. Taken with her own beauty, she falls in love with her reflection. But then God makes her look up to see Adam. She initially resists loving him, for he is nowhere near as beautiful as what she has just seen, but God guides her to see that loving Adam is better than loving herself. Here is reality and substitute completely beyond the realm of cigars/cigarettes, gramophone/concert, and margarine/butter. The reader is caught. If he is convinced that Lewis was right about the little boy listening to the gramophone and then going to the concert, and if he is led to agree with Lewis’s assessment of Milton’s Eve, then he has suddenly agreed to believe something until the moment of his death. Experience can no longer be admitted as a completely trustworthy authority. Thus, in this essay, Lewis captures something about reality and human nature in both the form and content of his argument—we all form judgments based on experience and tend to give too much weight to experience alone. Each reader understands those examples about mistaking reality for the substitute because he has had that experience himself. The human proclivity to trust experience, however, has only increased since Lewis. Nearly all my students have never been taught to examine critically the authority of their own experience. I think it is a good exercise for students of writing to write a paragraph in which they provide their own example of discovering that the reality was the substitute or vice versa. Nearly all students enjoy this exercise. For they are invited to share in a quality of Lewis’s writing that gives it universal appeal: we see ourselves—our reasons and experiences—reflected in clear, forceful prose. We see ourselves reflected and then are made to admit an uncomfortable truth. However, in the end, as in Lewis’s essay, the “uncomfortable” truth may turn out to be quite comforting. For, Lewis reminds readers “Our faith in Christ wavers not so much when real arguments come against it as when it looks improbable.” Because our experience is unreliable, recognizing that reality ultimately helps the reader turn to a better teacher. An audio recording is now available of the Panel Discussion that I had the privilege of chairing at St Margaret’s, Westminster Abbey, on the eve of the fiftieth anniversary of C.S. Lewis’s death (21st November 2013). The topic was Lewis’s apologetics legacy and the panellists were theologian Judith Wolfe, novelist Jeanette Sears, philosopher William Lane Craig, and apologists Michael Ramsden and Peter S. Williams. Do listen to their thoughts, if you have a spare hour some time; it was an interesting and helpful discussion. Rounding off the occasion, Professor Don King, an expert in Lewis’s poetry, read his “Apologist’s Evening Prayer”.